Weapons Integration | IOMAX USA, Inc. The weapons carriage and delivery capability for Archangel allows for wide range flexibility in mission planning and execution. Archangel is configured with seven (7) store stations for external carriage. Each wing has three (3) carriage positions for weapons and a centerline fuselage station is available for either a Recce/Strike/Data Link pod, or additional munitions. Custom pylons, wing cabling, and armament control are provided to accommodate a variety of precision strike weapons. The IOMAX designed Heavy Stores Pylon (HSP) is used on the Archangel to carry a wide variety of payloads. Housed in the HSP is an electro-mechanical Bomb Rack Unit (BRU) and relay control unit. It is capable of carrying stores that use standard 14’’ NATO lugs. It is currently used on Archangel to carry Paveway II GBU-12 and GBU-58 LGBs, AGM-114 Hellfire, Cirit 2.75” Laser Guided Missiles, IOMAX Dual Ejector Racks and the IOMAX Recce/Strike/Data Link pod. 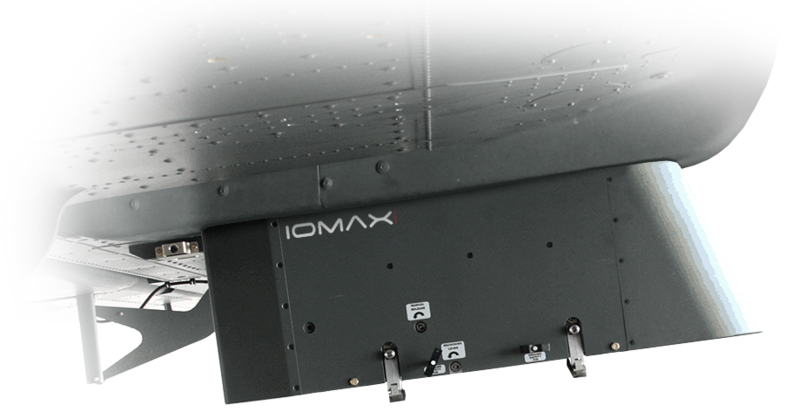 The IOMAX Dual Ejector Rack (DER) is the latest addition to the IOMAX inventory of weapon carriage devices. Made from aluminum and composite material the DER houses two (2) electro-mechanical Store Release Units (SRU). It is capable of carrying two (2) GBU-58 Laser Guided Bombs or two (2) Cirit 4-packs and is attached to Archangel via the HSP. 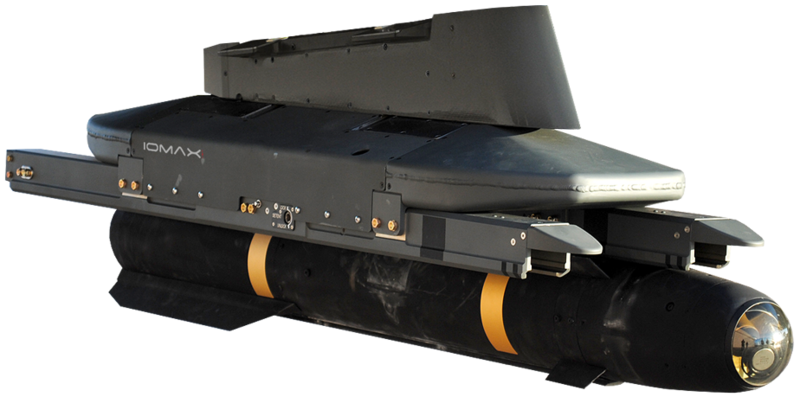 The IOMAX Dual Rail Launcher (DRL) provides carriage for AGM-114 Hellfire missiles. Designed for fixed or rotary wing applications, the DRL carries two (2) missiles and incorporates the missile interface electronics to communicate and launch Hellfire. The DRL can be mounted to platforms with 14″ standard NATO racks.